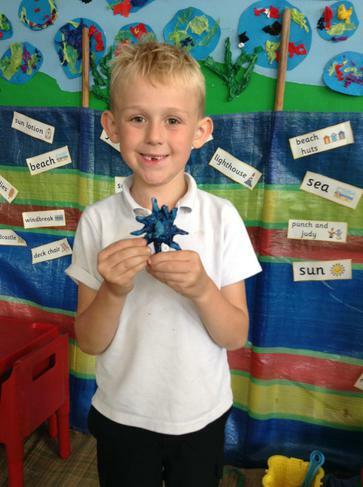 In year one we have really enjoyed our theme ‘Under the Sea’. 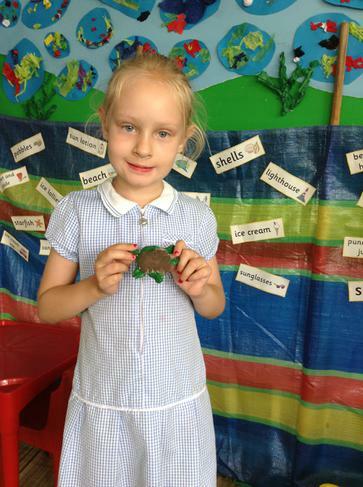 The children have been excited to base their learning around the books, The Snail and The Whale by Julia Donaldson and The Storm Whale by Benji Davies. 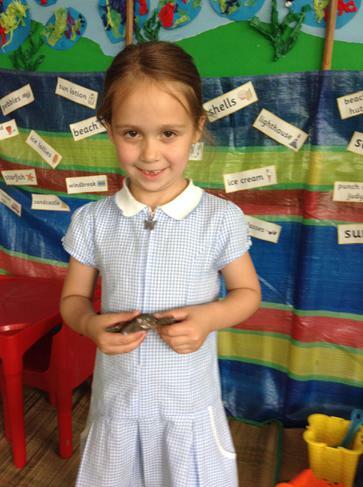 They have written some fantastic facts about sea creatures and also produced some lovely poems. 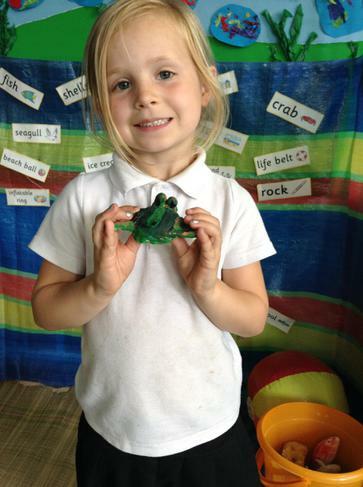 Over the last few weeks they have used their artistic skills to make sea creatures out of clay. 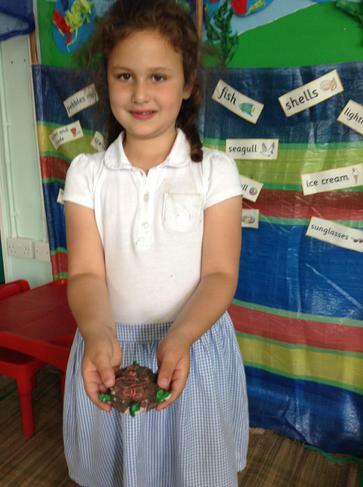 The children had to mould the clay, design their shape, wait for it to dry and then carefully select their paint colours to add detail to their sea creature. Their final products looked fantastic! We are now looking forward to our seaside trip, please don’t forget your sun hats and sun cream that day, as we are all hoping for good weather! 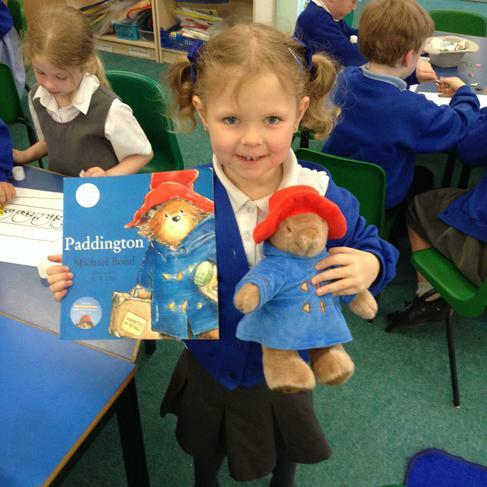 In Year 1 we are reading the story of Paddington bear. 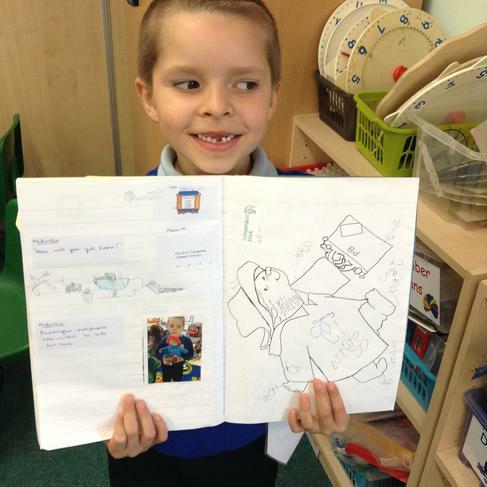 We have been busy immersing ourselves in the text, drawing maps of where we think Paddington has been on his travels and asking him lots of questions about his life. This week we are looking forward to designing a new spread for Paddington’s sandwiches! We are all extremely excited about our Teddy Bears Picnic trip this Friday. 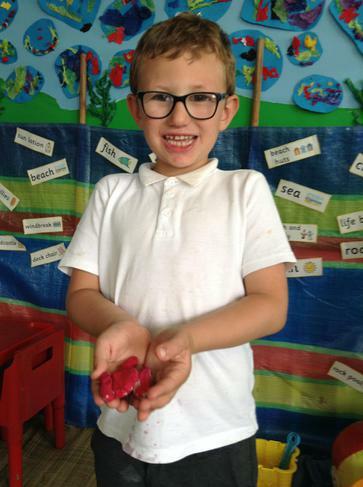 Please keep your fingers crossed for us that the weather is lovely and it doesn’t rain! 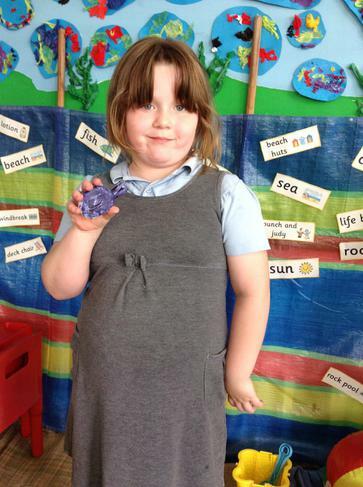 This week we have been learning about Spring in Science. We have been researching on the computers and looking through books to find out what happens during Spring time. 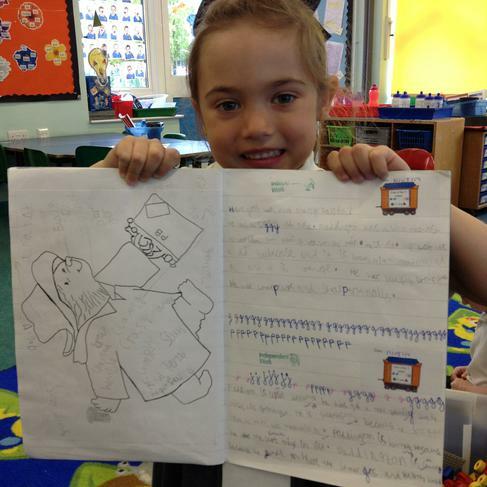 The children have been writing what they found out through their research. Some of us have used Microsoft word to publish our writing on the computers! After our visit to the church, in celebration of the Easter festival we have also been using our writing skills to write the Easter story. We have ended our term by making Easter baskets and the Easter bunny has even made a special visit to fill our baskets with chocolates! 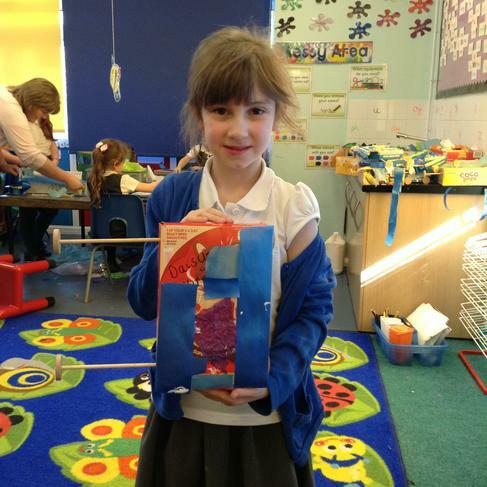 This term our theme is Space. 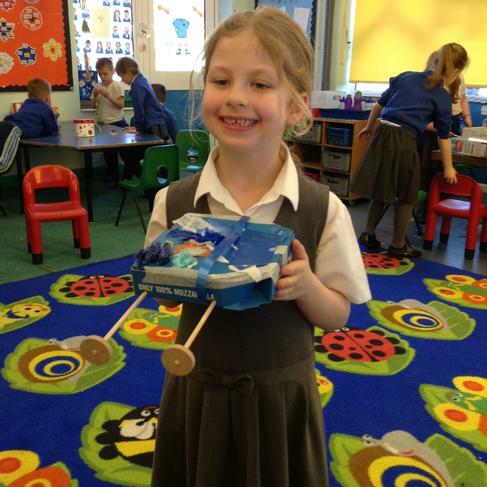 The children have been very busy this week creating their own Space Buggies! 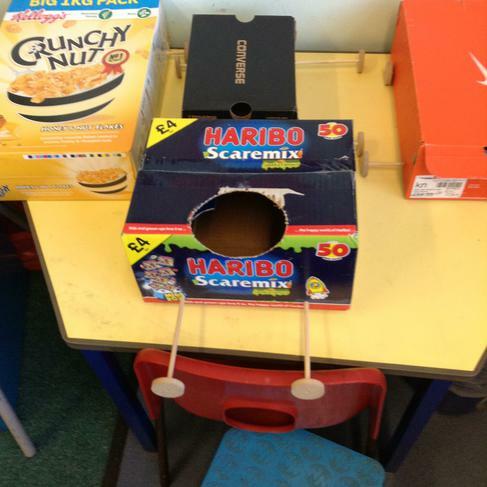 Thank you to all the parents who sent their child in with a box, we have really enjoyed building our Space buggies out of junk modelling and wooden wheels. 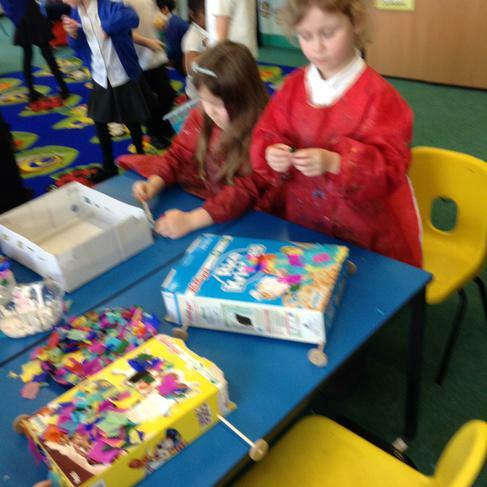 We really enjoyed Maths Day last week. We did some active maths in the hall making shapes, made patterns and linked it to instruments and practising counting in 2s. We even wrote our own counting songs. 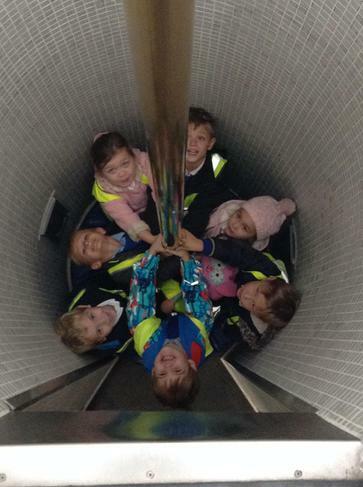 Have a listen to Hedgehogs song ’10 fat bananas’! 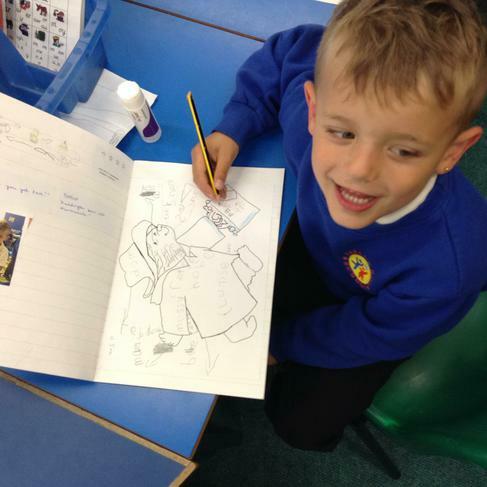 We decided to write our own stories of Little Red Riding Hood, using adjectives to describe the objects and characters from the story. We are looking forward to building our dens, when we visit Manor Farm, next Monday! 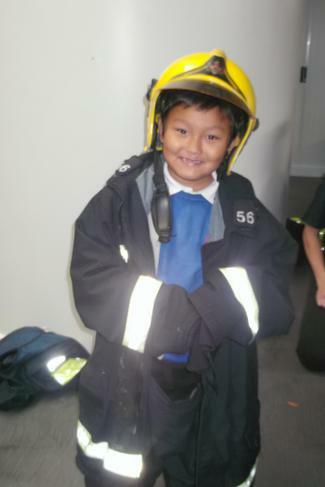 Fun at the fire station! 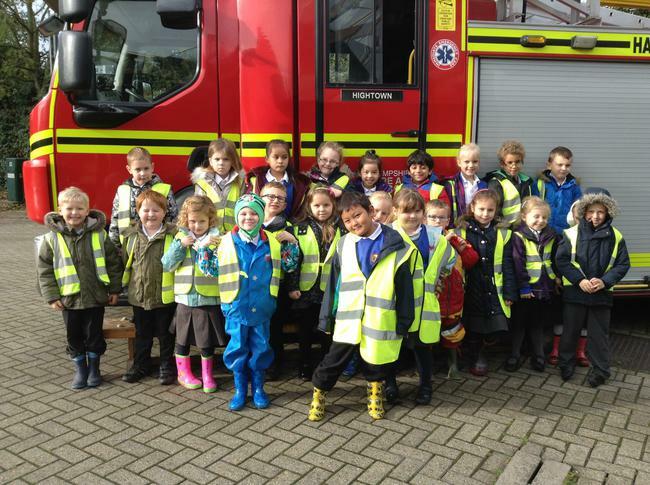 We really enjoyed our visit to the fire station this term. 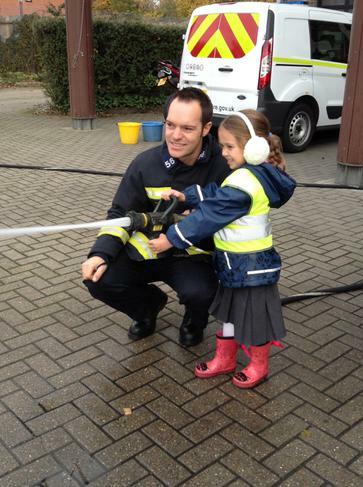 The children had the opportunity to look around the station, climb into the fire engines and even spray the hoses! 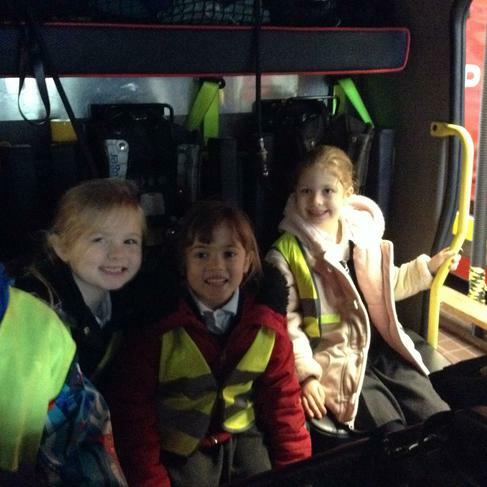 As part of our Great Fire of London theme in Year one, it was an excellent opportunity to learn about all the different equipment used by the firemen.